​As the daughter of a classical pianist, Erin has always been a lover of music and the creative arts. She began her musical training at age five through a Suzuki piano school and joined the school orchestra in 5th grade with the violin. She graduated from the College of Charleston in 2007 and again in 2009 with a double B.A. in Music Theory & Composition and History. During her time at the College she played violin with the CofC Chamber Orchestra, studied jazz piano under the late Tommy Gil, initiated a comprehensive study on Gullah music under the mentorship of Dr. Trevor Weston, studied abroad in Havana, Cuba, and performed with the indie rock trio Glee of which she wrote and performed all original repertoire. 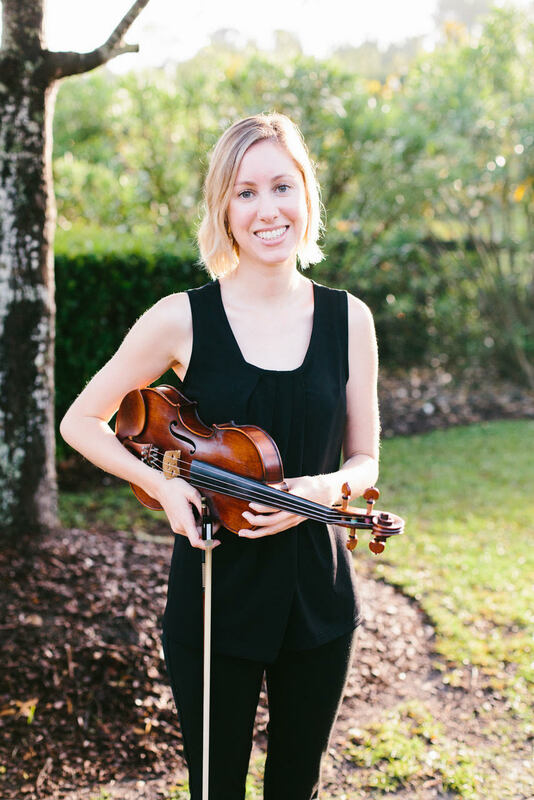 For the past twelve years she has performed professionally for weddings in both the solo and ensemble setting, accompanied praise & worship bands throughout the Charleston area, and has been featured on the albums of local indie artists including Joel T. Hamilton & Mechanical River, Slow Runner, and Run Dan Run.